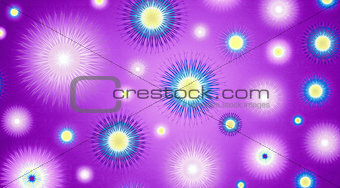 Image Description: Abstract flowers over graduated background. Spring and summer concept. XXL 40.4 x 22.4 cm 15.9 x 8.8"